ABBA Medical Transportation, LLC is a highly visible company in the medical transportation industry available 24 hours a day 7 days a week. Our modern fleet of Mobility Assistance Vehicles are available Monday – Saturday during normal business hours. Sunday availability needs to be prescheduled. Please contact our call center for weekend wheelchair rates. By designing new ways to deliver health care, whether in emergency situations or through supplementing home health care organizations, we are steadfastly patient-focused and customer-centered. We are also proud to provide transportation services to residents who live within the community. This is our core business. The team at ABBA Medical Transportation has a single mission: making a difference by caring for people in need. We are caregivers, first and foremost. Our promise to you is that we will treat our patients, customers and teams with respect. 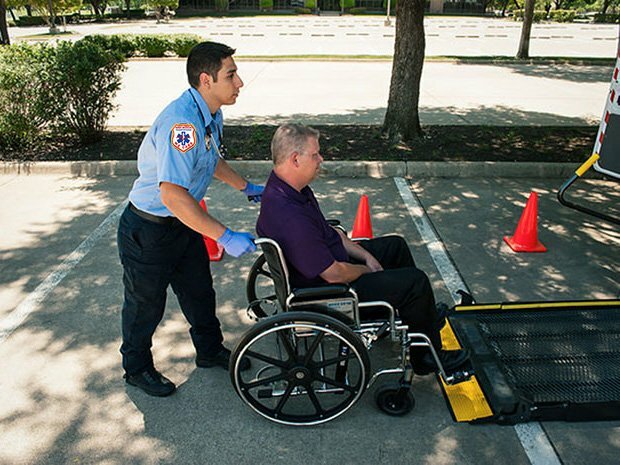 ABBA for all your Ambulance and Wheelchair needs, including Wound Care, Radiation, Dialysis. Your one stop transportation solution. 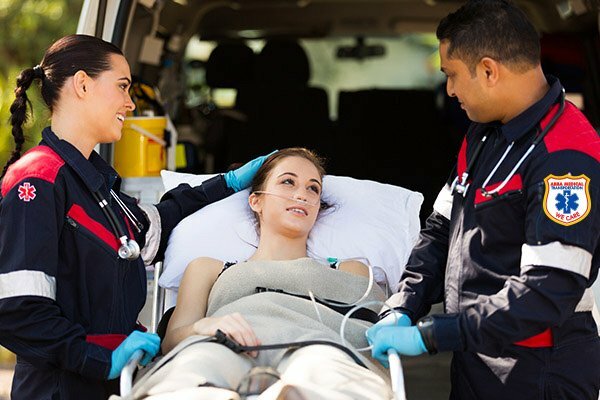 We are at the forefront of supplying safe, professional and efficient transport in our modern fleet of state-licensed ambulance and wheelchair vehicles. ABBA Medical Transportations, LLC has over 30 years of combined transportation experience. We serve Nursing Homes, Hospitals, Dialysis Centers, and Private Homes with its call service area being throughout the State of New Jersey. Our staff includes an Operations Manager, Business Development and Shift Supervisors, Human Resources and in-house Billing and Collection Department. We utilize full time dispatchers for rapid and efficient dispatch, live call takers to assist NEVER AN ANSWERING SERVICE OR MACHINE. We are large enough to service your every need. All ambulance staff members and coach drivers must possess a valid drivers license, CPR Certification, EMT or MAVT Certification. All staff members are background checked and subject to random drug testing prior to hiring and during their employment. All Units are equipped with GPS and two-way radios to maintain constant contact with the Communications Center at all times. ABBA Medical Transportation, LLC is Medicare approved, accepts most insurance carriers. Payment in the form of Visa, Master Card, Discover Card, and American Express is also accepted. Worried about getting to your important appointments this Fall and Winter? Let Abba Medical Transportation get you there! Our Fall and Winter Specials begin September 15th. Did you know you are not obligated to use the hospital based transportation company or the nursing home based transportation company for your emergency and non-emergency transports which include dialysis, radiation and chemo-therapy. You are entitled to make the transportation decision for your loved one. Let ABBA Medical Transportation be your one stop NJ medical transportation provider. We accept most Insurance and Medicare. If you or a loved one has Chronic Kidney Disease (CKD) or kidney failure, there are treatment options. Learning all you can, staying positive, and taking an active role in your care is important to staying healthy and living well. ABBA Medical Transportation, LLC is dedicated to establishing and maintaining a standard of excellence in providing transportation for behavioral health care, psychiatric and developmentally challenged citizens throughout the State of New Jersey. Hospice services are intended to make a person suffering from a terminal illness as comfortable and relaxed as possible. In the event that your transportation is not covered by insurance, ABBA Medical Transportation can help you! We are one of the few ambulance service in NJ that can help.